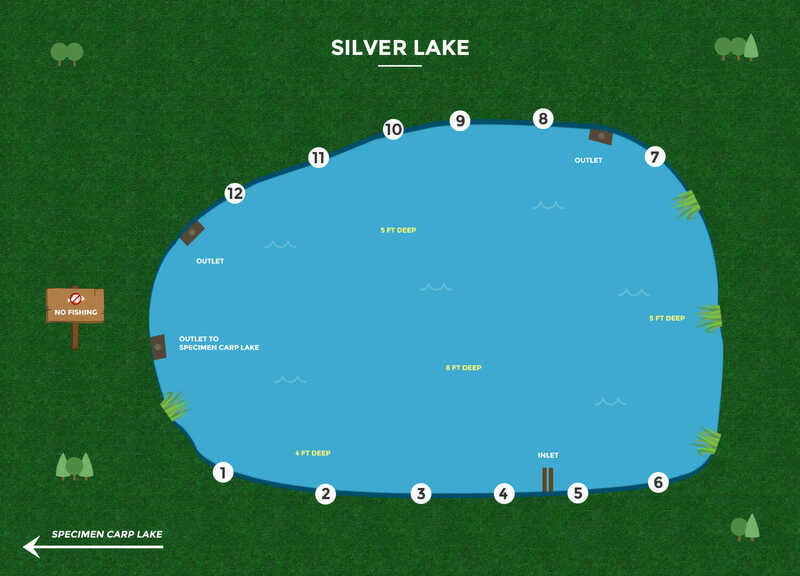 1.6 acres with 10 swims/pegs, stocked in excess of 200 fish ranging form 12lb to 31lb+. The majority are Mirrors with Commons being the larger fish. Night fishing on request. No shelf life boilies, barbless hooks only. Unhooking mat with fish antiseptic required. You must reserve a peg prior to fishing. 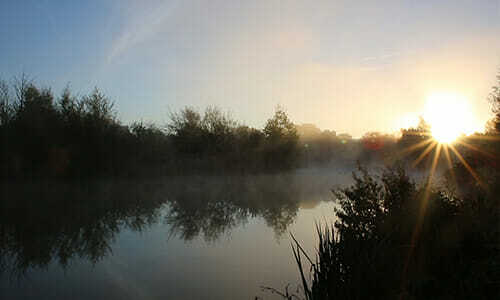 Price £10 for 2 rods, £25 24hrs/night. Under 16 years must be accompanied. Approximately 3.5 acres in size with 60 pegs to choose from. 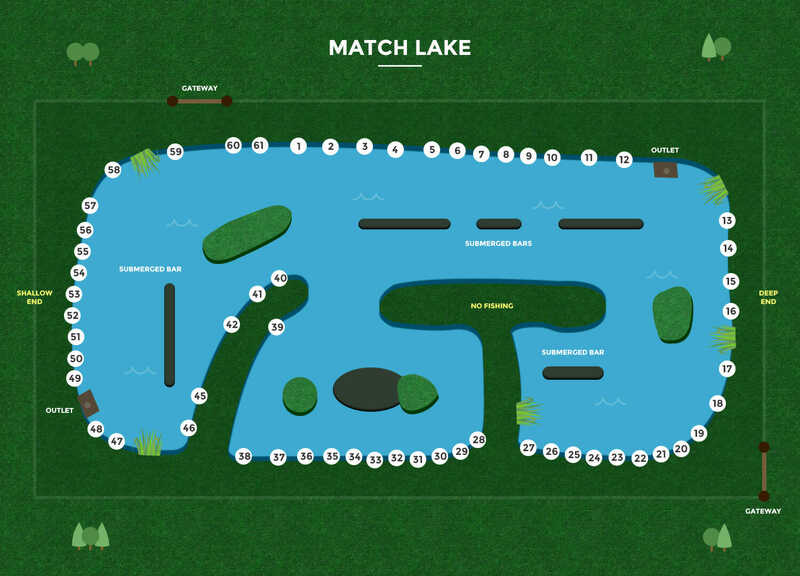 This lake features a varied depth between 5ft & 16ft with submerged bars in most swims. 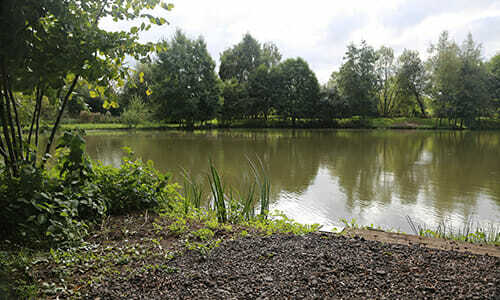 The lake is stocked with carp from 2lb to 32lb+, Roach, Rudd, Tench, Bream, Crusians, Gudeon & Perch. 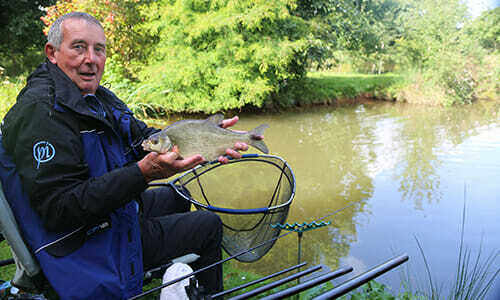 For those targeting silver fish , the pole works well with pleasure catches in excess of 100lb taken last year. For those targeting Carp, the lead or squash wag has accounted for many pleaure bags in excess of 400lb. 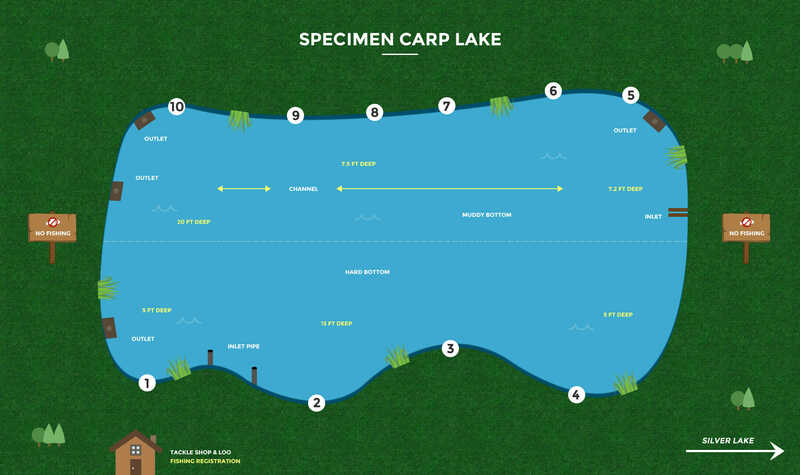 Specimen Carp Lake: 48 & 72 hour bookings can be made on request.